Can international media cover the Maldives without invoking China or India? “Maldives election: Opposition defeats China-backed Abdulla Yameen”, announced the BBC. “Opposition victory in Maldives deals potential blow to China”, declared Reuters. The Guardian said, “Maldives voters throw out China-backed strongman president”. Going purely by international headlines, one could be forgiven for thinking that the recently concluded presidential election in the Maldives was more about China than the Southasian archipelago. International interest in the hotly contested election has, for some time, been acutely focused on China’s growing influence in the Indian Ocean, with the breakdown of the Maldives’ democracy over the years serving as a helpful backdrop for what was really at stake: India’s, and the West’s, ever-shrinking sphere of influence in the region. That the Western media should let their international reportage be coloured by their domestic anti-China sentiment, should come as no surprise. Beijing’s increasingly dominant presence in the economic affairs of Southasian, African and other countries has given rise to justifiable concerns of a new kind of neocolonialism – much to the discomfort of the US and its allies, who had hitherto monopolised the game. Some international media outlets did vary their coverage with pieces reflecting on the impact of the elections on Maldivians. But the dominant tenor of the reportage was one that focused on the Chinese or the Indian connection. While there is no arguing that local elections can and ought to be analysed in terms of their wider geopolitical implications, Chhetria Patrakar wished that reputed award-winning media organisations would not treat the geographically smaller and less powerful countries solely as adjuncts of ‘larger’ strategic interests and gloss over ground realities that make or break governments. After all, the beleaguered people of the Maldives took to the polling booths on 23 September 2018 at a considerable risk, not to put China – or for that matter, India or Saudi Arabia – in its geopolitical place. It was to secure the freedoms that they had been robbed of for so long. ~ Read our coverage of the Maldives presidential election here (who’s who of the 2018 elections) and here (election laws and political manipulation). 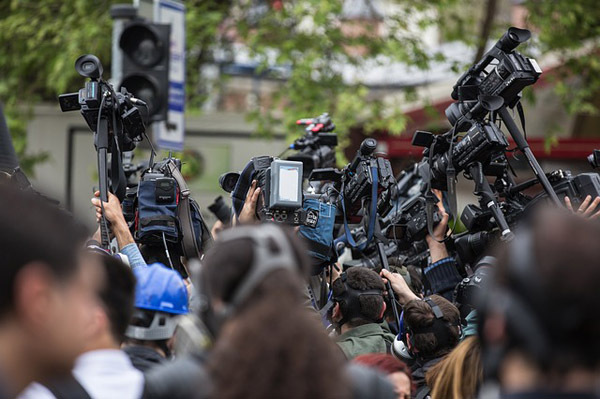 How was the year 2018 for journalists – and journalism – in Southasia? On Twitter’s tepid encounter with caste patriarchy. Clichéd journalism on Sri Lanka’s political crisis.